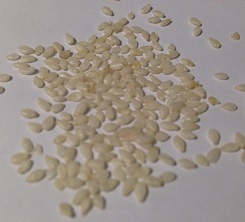 Sesame Seeds are from an ancient annual herb that has been cultivated for its mild nutty taste. They come in various colors including black, brown and yellow-beige. 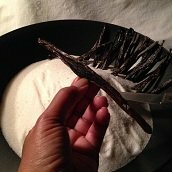 Enslaved African people are credited with bringing the seeds with them, centuries ago, to the Americas during the slave trades. 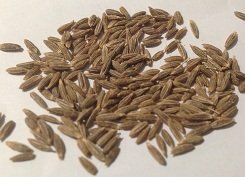 What is the Origin of Sesame Seeds? 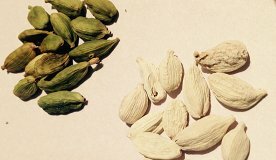 Indigenous to Africa and Indonesia, and cultivated in China, India, and other parts of the world having warmer climates. This spice is used heavily in the foods of China, Japan and the Middle East region. Sesame Seeds are good for foods like: baked goods, breads, broccoli, candies, chicken, eggplant, green beans, greens, spinach, stir fries, tuna, turkey, vegetable garnish, and classic Middle Eastern blends of zahtar. What Are the Health Benefits of Sesame Seeds? 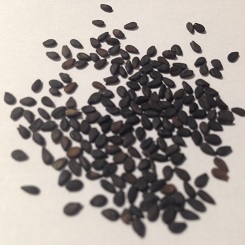 These seeds contain Lignans (plant compounds) which can help lower cholesterol in our bodies. Sesame seeds are a good source of calcium, zinc, phosphorous, and copper - all of which may help keep our bones strong.